Making Polenta in the Instant Pot is easy and does not require stirring. It is our favorite way of cooking it, and ready in 20 minutes. Perfect with some parmesan cheese and butter. This is the perfect side dish to enjoy with roasted asparagus, beef bourguignon, or spaghetti squash. 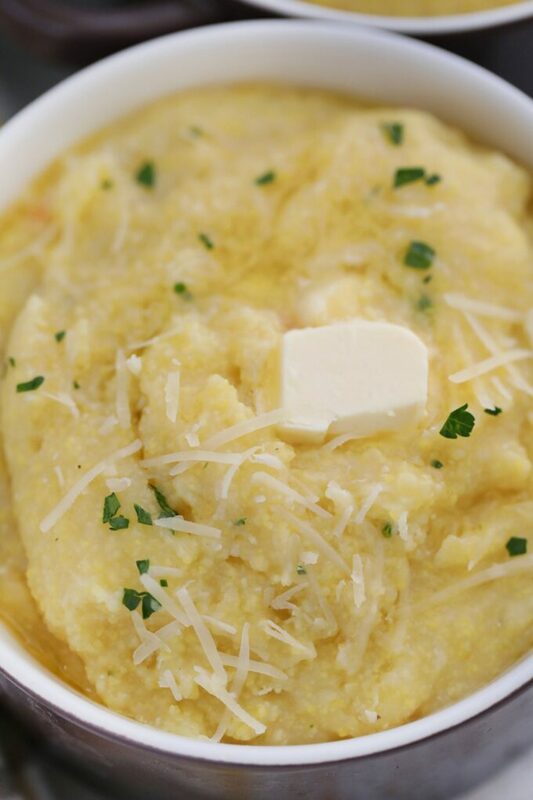 Instant Pot Polenta is essentially ground corn that turns into a creamy porridge-like dish. 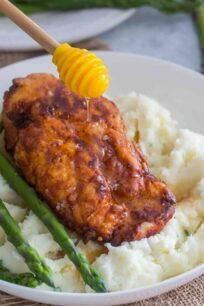 Unlike the traditional stovetop version which requires constant stirring and longer cooking time, this version is simple and ready in no time. The pressure cooker does an amazing job cooking by it perfectly. We always end up with a great looking and tasty dish. 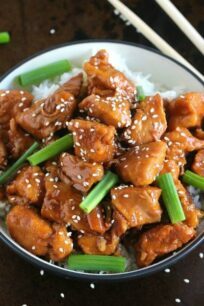 It is a budget-friendly dish, and it requires only a few cheap ingredients to make. If you want to experience a homemade Italian classic and comfort food, this is your change. You can serve it warm or creamy any time of the day. 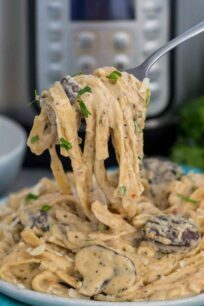 Top it with anything from a tomato based sauce, alfredo sauce, cheese, or honey. The possibilities are endless! Also, it can be eaten at any time of the day, either breakfast, lunch, and dinner. Therefore, feel free to eat it whenever you feel like! Polenta originated from Italy and is a dish of boiled cornmeal made of grains. 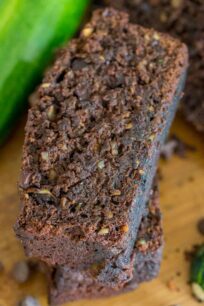 It can be served in a variety of ways such as a loaf, baked, fried or grilled. Depending on your preference, it can be enjoyed hot or cold during any meals of the day. Although they might taste similar there are some differences between the two. First, polenta originated in Italy, a long time ago, while grits are an American dish, widely enjoyed in the southern part of the United States. Also, polenta is made of ground yellow corn, while grits are made from white corn. Another difference between the two is their texture. Polenta has a coarser texture, whereas grits are finer. How to make creamy Instant Pot polenta? 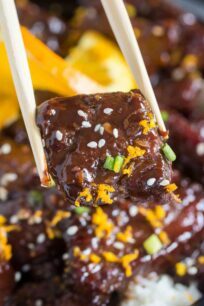 Making this dish in the Instant Pot is really quick and easy. Also, it is quite inexpensive when compared to the store-bought version. For a perfectly cooked homemade polenta, you really need just a few simple ingredients, such cornmeal: water, butter or milk/cream, and cheese for added flavor. 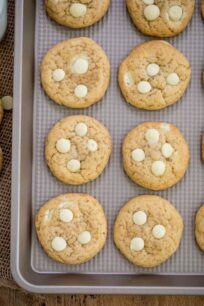 The secret to making it creamy and tasty is definitely in adding some butter or milk/cream to it. To elevate the flavor, we add some shredded parmesan cheese, and it always turns out perfect. One important thing to remember when making it in the instant pot, it to use enough water. The optimal ration would be 5 cups of water to 1 cup of cornmeal. Follow the recipe steps up to opening the pot. Once the pressure cooker is done the cooking, open the lid and stir it well. Then, add your favorite cheese such as mozzarella or parmesan, and some milk or cream. 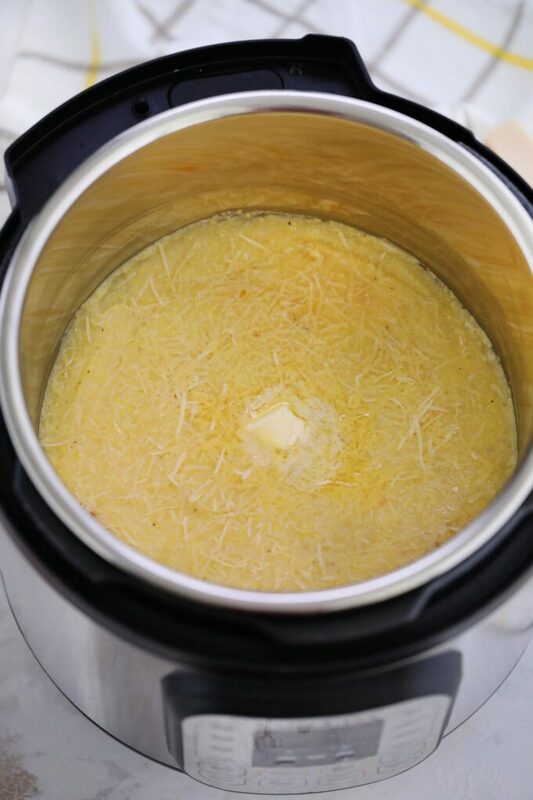 If you like it on a creamier side, add some more milk/cream and additional shredded cheese, and stir to combine. Once the cooking is done, open the lid and add some baked crumbled bacon and feta cheese. Then, add some milk/cream and stir well to combine. Saute some mushrooms and add them to the pot once cooked. Mix well and add some milk/cream and cheese. Also, you could add other veggies to it, such as sauteed bell peppers or tomatoes. 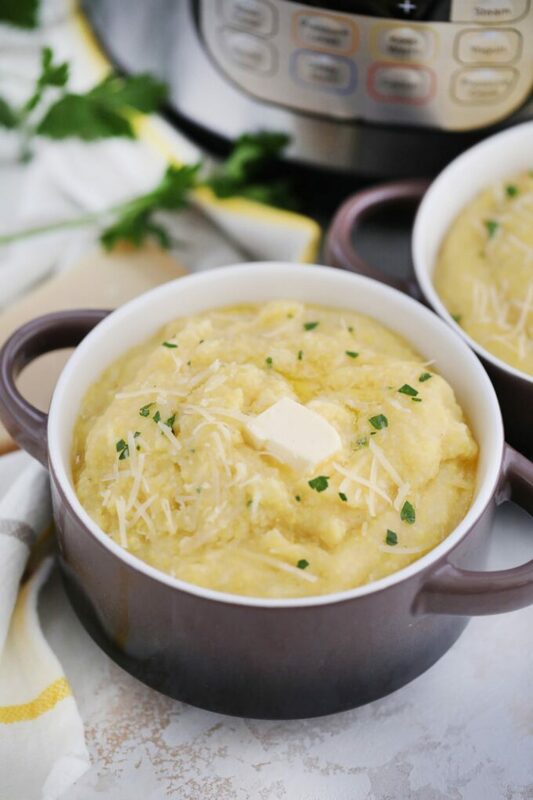 Is Instant Pot polenta full of carbs? As a general rule, polenta is made of cornmeal. A portion of it about 4 ounces, contains about 15-16 grams of crabs, which is on the lower side of the grain family. Yes, it is! Therefore, it a good choice for those who are gluten tolerant. For added flavor, you could use broth instead of water. Just remember, to use a ratio of 5 to 1 when making it in the pressure cooker. Also, ensure to allow some time for Natural Pressure Release (NPR). This might take 10-15 minutes, so do not rush it and let it release the pressure naturally. Once the pressure is released, add the desired flavors and ingredients and stir well to combine. 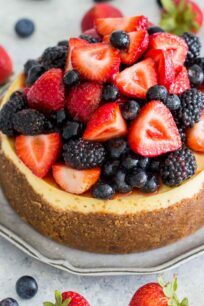 For a creamy version, add butter or milk/cream and cheese. You can eat the polenta war or cold, with your favorite topping. To store it, wrap it with aluminum foil and store in the fridge for up to 3-4 days. Add polenta, broth, salt, and black pepper to the instant pot. Stir well. Lock the lid in place and turn the valve to the sealing position. Use the "porridge" setting, which will pressure cook the polenta for 20 minutes. Do a 10-15 minutes Natural Pressure Release once the cooking is done, after which release manually any remaining pressure. Do NOT attempt Quick Release. 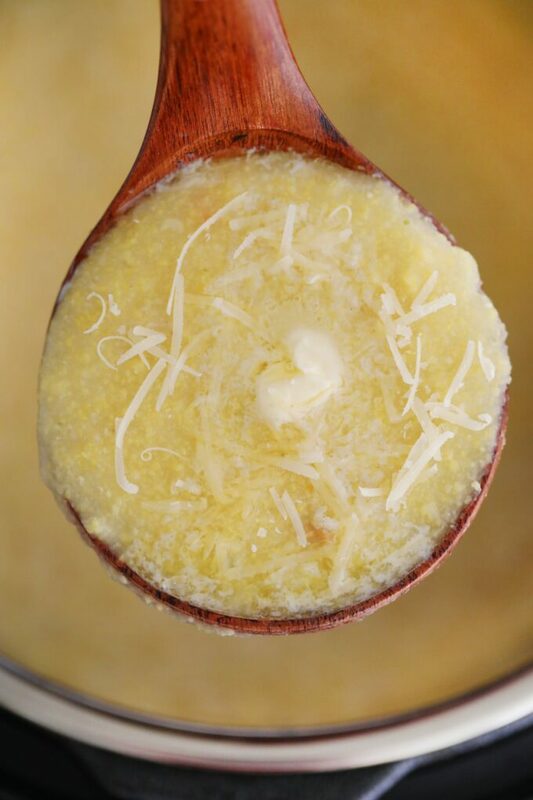 Open the lid and stir well with a wooden spoon, add the parmesan cheese and the butter and stir until combined. Garnish with more butter and cheese before serving. Serve warm. Oh yum! I have never had anything like this before. I can’t wait to try it. I have never tried polenta before! It looks really good so I need to add it to my foodie bucket list. We’ve had a similar version of this before. One of our friend’s wife made it while camping. It was so delicious! 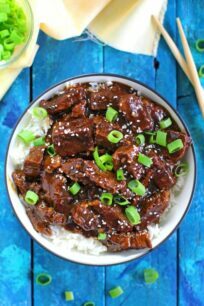 I love this instant pot recipe! We are at the point of the school year when I’ve lost all motivation to make lunches. Then dinner comes around and I still don’t have the motivation. Things like instant pot meals save me! This polenta sounds delightful! This is a new dish for me, first time I’ve heard of it! 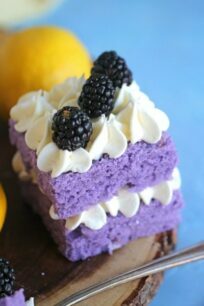 It looks so tasty!